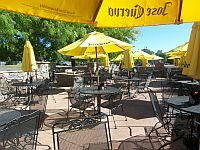 Located at 694 and Silver Lake Road, Champps – New Brighton specializes in fun, family friendly atmosphere, reasonable prices, good drink specials, big portions of quality foods, and fast friendly service. 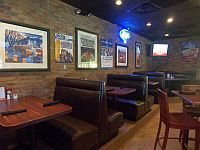 Champps has open, well lit atmosphere with a large menu ranging from tasty appetizers, quality burgers, innovative pastas and superb ribs, walleye, and steak sandwich entrees, (even a nice kids menu.) 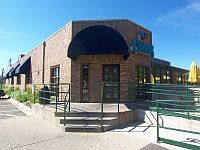 Champps has a full bar with drink and food specials throughout the week. 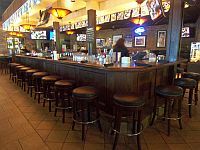 Champps – New Brighton is a neighborhood bar, were most patrons and staff know each other by name, and (It’s not Champps, its Cheers!) 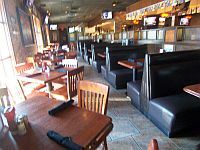 Twenty big screens allow you to watch your favorite sports and events. They're still making fresh hand-pattied burgers, roasting their own turkey and chicken, slow-basting their falling-off-the-bone-tender ribs, and hiring the friendliest people to be part of their team. Eat in, take out, and soon they will deliver!